Paperback, 6.75 x 9.25 in. / 376 pgs / 110 color / 110 bw. 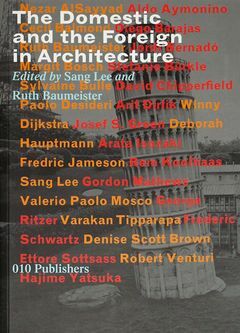 Text by Nezar Alsayyad, David Chipperfield, Frederic Jameson, Rem Koolhaas, Denise Scott-Brown, Robert Venturi. For centuries, across nations, dialogue between the domestic and the foreign has affected and transformed architecture. Today these dialogues have become highly intensified. The Domestic and the Foreign in Architecture examines how these exchanges manifest themselves in contemporary architecture, in terms of its aesthetic potential and its practice, which, in turn, are impacted by broad economic, cultural and political issues. 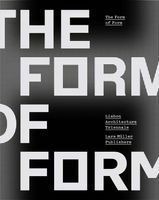 This book traces how diverse cultural encounters inevitably modify conventional categories, standards and codes of architecture, such as domestic identity, its political and economic representations and the negotiations with what is deemed foreign. Theoretical reflections by distinguished scholars are accompanied by interviews with some of the most influential architects practicing today, as well as stunning visual presentations by professional photographers. FORMAT: Pbk, 6.75 x 9.25 in. / 376 pgs / 110 color / 110 b&w.